19 Dec – An influential working group has been established in the Scottish Government to look into “Protection of Title” for professional electricians. The campaign by SELECT, the trade body for the electrotechnical trade in Scotland, asks the Scottish Government to accept and legislate for the fact that electricians undergo an intensive training akin to that required for other professional qualifications and to agree that their skills should be protected. Colin Beattie, the SNP MSP for Midlothian North and Musselburgh, who has reiterated his support for the registration of electricians, pressed the Government last month (November) about the membership of the group and its remit. 18 Dec – Grant of £4.8 m from the Heritage Lottery Fund (HLF) for transformational renovation and expansion of Glasgow’s Citizens Theatre by Bennetts Associates, architects: refurbishing the historic auditorium whilst sweeping away later piecemeal additions to allow a wraparound new build structure. 16 Dec – At their meeting last week, RIAS Council discussed the findings of the review of the RIAS governance, the vacancy resulting from the Secretary and Treasurer’s departure last month, the election of the President and the next steps toward establishing a new RIAS Strategy (2018-23). As a matter of priority for the Incorporation, RIAS Council has agreed to advertise for a new Chief Executive and has appointed Karen Stevenson, current Director of Policy and Development, in an acting role. Neil Baxter is working his notice period and has agreed the terms of his departure at the end of January. He no longer has any involvement in the day to day running of the Incorporation. 16 Dec – VELUX announce the VELUX Roof Window Award, their newest design award competition, in collaboration with the Royal Incorporation of Architects in Scotland (RIAS). The passion VELUX has for daylight, fresh air and better living environments has led them to consider the innovative vision of designers in Scotland. The VELUX Roof Window Award is an exciting competition that wishes to seek out and reward inventive and modern designs that use any VELUX roof window products. The competition will be divided into two categories: built and unbuilt. The built category seeks to celebrate the design, aesthetics and detailing of any completed project that includes a VELUX roof window, whilst the unbuilt category will consider any project that is in the design stage or is under construction. The unbuilt category has the objective of recognising progressive designs of the future that will innovate and drive the industry forward. Winning designs will receive £1,500 in prize money and a VELUX curved glass rooflight to use in their next project. Since 1941 VELUX has been a transformative force in the design world. In the years since, the evolution of their product range has afforded specifiers versatility, efficiency and aesthetic confidence for construction projects around the world. This year VELUX launched their revolutionary curved glass rooflight. The curved glass-to-edge surface is built to allow more daylight into a space, and will provide specifiers and designers the freedom of creativity to create the space that they envisage. VELUX has a reputation for providing quality products, and this has enabled designers to craft spaces that push the boundaries of design and aid pioneering construction concepts. And it is this commitment to supporting the design and construction industry that has been the driving force behind the VELUX Roof Window Award. Coinciding with the launch of the world’s first curved glass rooflight, VELUX and the Royal Incorporation of Architects in Scotland are incredibly proud to use the VELUX Roof Window Award as a platform to celebrate the work done by architects, designers and specifiers within the construction community. 15 Dec – Glasgow City Council has staged an exhibition outlining their indicative masterplan for the B-listed former Bellgrove Meat Market, ahead of a formal planning application early next year, reports Urban Realm. 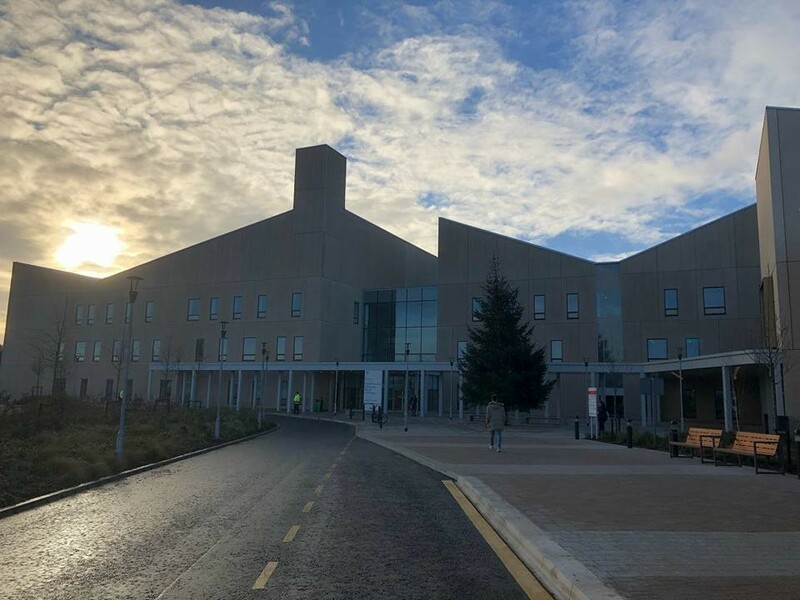 13 Dec – The new £212m Dumfries and Galloway Hospital opens. The 344-bed new build facility was built using the off-site construction method DfMA (Design for Manufacture and Assembly). 11 Dec – £17 m project: 100 military veterans have already signed up to use the facility, along with residents of the nearby Royal Blind facility, Jenny’s Well. 6 Dec – Would you like to visit GIA Supreme Awards Winning ‘Ruins Studio’, in Hazelwood? You still can as there are a few spaces left for the visit on the 8th December 2017, please advise before noon Thursday 7 December. The GIA hope to car share and leave Glasgow c.14:00. Travel time is approximately 1.5 hours. The house is accessed via a track so a 4×4 will meet you at the bottom of the track. Ruins Studio is a small house so visit is restricted to 8 visitors. With your response, please provide your name, the name of any colleague that would like to join you and advise if you can provide transport. Bookings will be confirmed on Thursday afternoon. 5 Dec – Sarah Baillie, Planning Partner at international law firm, Addleshaw Goddard, shares her views on the introduction of the Planning Bill into the Scottish Parliament today. Read in full on the Edinburgh Architecture website news page. 5 Dec – Advance Construction has submitted plans for a major regeneration project, which will transform the historic Tullis Russell Paper Mill site in Fife. The Bellshill-based company, who specialise in large-scale groundworks and civil engineering, is proposing circa 850 much-needed homes as well as retail and leisure facilities, employment, business space, industrial units and a new care home. 5 Dec – Legislation to encourage development and improve community engagement. “We welcome the Scottish Government’s ambition to create a more innovative and inclusive planning system that puts people at the heart of decisions about their local communities. Planning the places in which we live and work is fundamental to our social and economic wellbeing, and it is vital we reach out to communities and empower them to actively participate in the decisions that affect their lives. SPAB Scotland is organising a visit of the spectacular Britannia Panopticon Music Hall and the ‘cute’ West Boathouse, before heading to Glasgow’s Christmas Market. 24 + 22 Nov – With the Chancellor today announcing a raft of measures aimed at significantly increasing levels of home building and “reviving the British dream of home ownership”, Scotland’s home building industry vowed to continue to hold the Scottish Government to account to ensure those living north of the border were not left behind. 22 Nov – Plans to build a new Queen Margaret Academy in Ayr are a step closer with the official contracts now signed after reaching financial close. 22 Nov – With the Chancellor today announcing a raft of measures aimed at significantly increasing levels of home building and “reviving the British dream of home ownership”, Scotland’s home building industry vowed to continue to hold the Scottish Government to account to ensure those living north of the border were not left behind. Key amongst the Chancellor’s statements were the abolition of Stamp Duty Land Tax on homes under £300k for First Time Buyers, £15.3 billion of new financial support for house building over the next five years (which includes money for the government to buy land as well as delivering supporting infrastructure) and more money to help SME builders. This is in addition to the £10bn extra funding already announced for the English version of the Help to Buy shared equity scheme. 17 Nov – The Royal Incorporation has agreed to the request from the Secretary, Neil Baxter Hon FRIAS Hon FRIBA, to leave the organisation after ten years of service. Neil will be standing down as of today and the senior management team at the RIAS will continue to deal with all matters relating to the business of the Incorporation. 18 Nov – opinion added by Scottish architect Alan Dunlop. 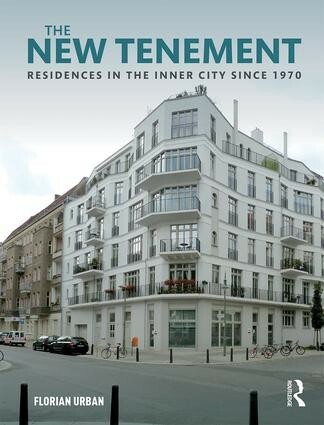 14 Nov – A publication on the new tenement by Florian Urban, Professor and Head of Architectural History and Urban Studies at the Mackintosh School of Architecture at the GSA, has been issued by Routledge. The result of the research project which was funded by the Leverhulme Trust, the publication involved research in Glasgow, London, Copenhagen, Rotterdam, Paris, Vienna and Berlin. 14 Nov – Official Opening of Greenock’s 200 year old Custom House marks also the 10 year anniversary of Riverside Inverclyde’s successful regeneration efforts. 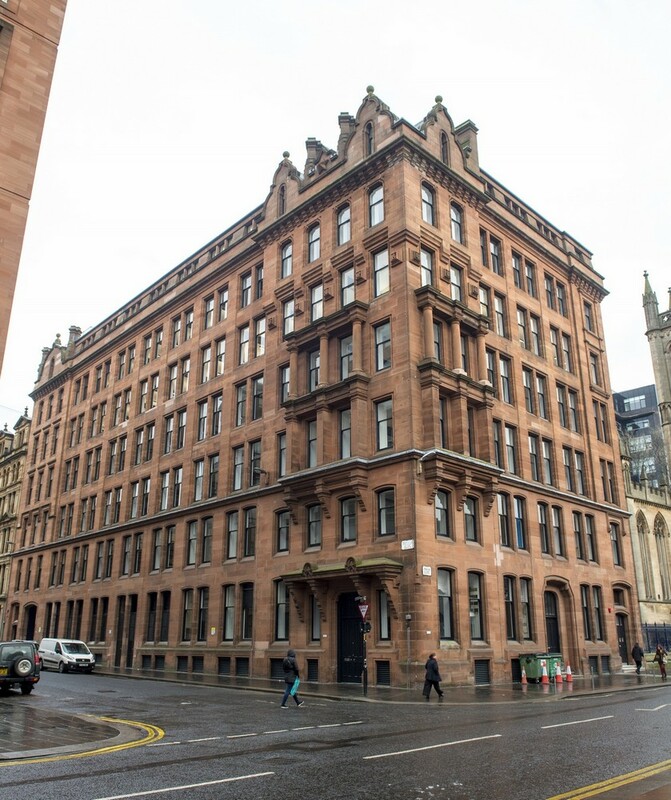 14 Nov – Expresso Property, in conjunction with its development partner, Ambassador Developments (Park Quadrant) Ltd., has announced that on-site works are now underway at Park Quadrant, a 98 apartment luxury development in Glasgow’s West End. Designed by architects Holmes Miller, Park Quadrant will complete the vision of the architect Charles Wilson’s concentric ringed design of a 19th century masterplan of the area. Building will complete in 2020 and will support up to 500 construction jobs in the City. Stephen Hampshire, of Expresso Property, added: “We are delighted to announce today that the Park Quadrant development will support up to 500 construction jobs during the construction phase and will have a total end investment value of £53m. 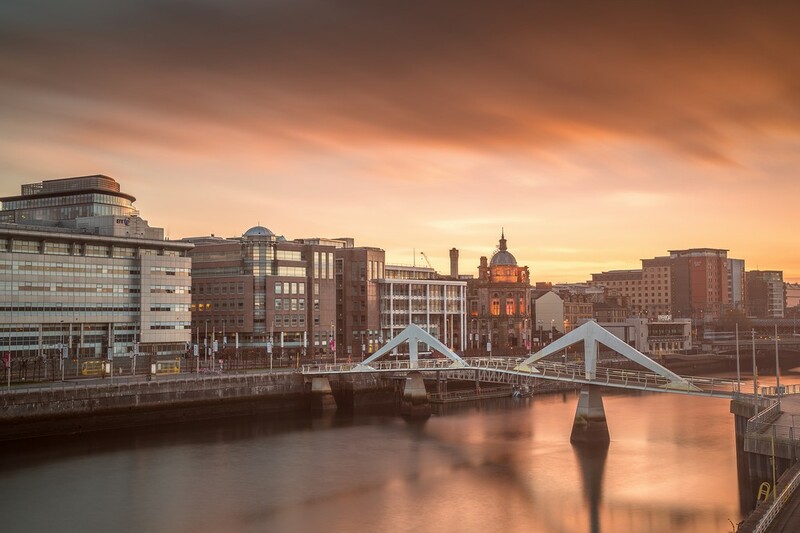 The York-based company is investing in three major Scottish projects, at Park Quadrant in Glasgow’s West End, one of the best residential development sites in the West of Scotland; Perth’s new leisure hub, Mill Quarter, and a new mixed-use site at Glasgow’s Pacific Quay. Image shows: Expresso Property, in conjunction with its development partner Ambassador Developments (Park Quadrant) Ltd., has announced that on-site works are now underway at Park Quadrant, a 98 apartment luxury development in Glasgow’s West End. Designed by architects Holmes Miller, Park Quadrant will complete the vision of the architect Charles Wilson’s concentric ringed design of a 19th century masterplan of the area. Building will complete in 2020 and will support up to 500 construction jobs in the City. Expresso Property is a UK-based real estate company of creative property developers and consultants, bringing together over 70 years of experience in residential, retail, leisure, office and urban regeneration developments. Expresso specialises in the successful delivery of property investment and development services. The skill set of our team enables us to craft schemes that deliver high-value bespoke results for our property portfolio and investors. Our activities are undertaken across the UK, with a pipeline of current projects of more than £100m, spanning all sectors. 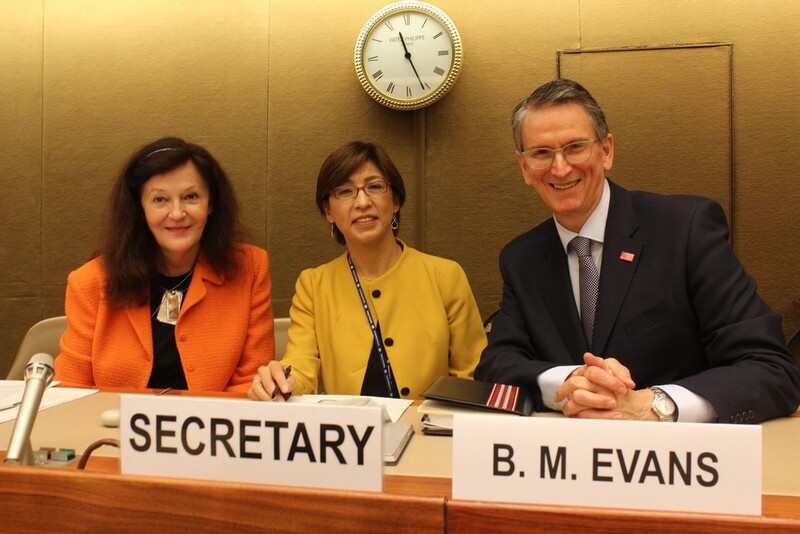 The GSA’s innovation skills and research capability will be a great asset to the UNECE network going forward. One of the main highlights of the annual GIA programme: the Supreme Award winner, Awards winners and Commendations will be announced at the GIA Annual Members Dinner. The Dalbeattie Learning Campus will replace the town’s primary and secondary schools and council nursery schools, which have operated in a number of buildings on separate sites. He added: “We were all very impressed by the new campus. The whole building is so spacious, bright and welcoming and a huge amount of thought, including a very large input from the pupils who will soon be moving into their new school, has gone into the design of all aspects of the building. “The setting is spectacular and the sports facilities and opportunities for outdoor learning are absolutely first class. Work started on site in March 2016, with an 18 month build programme and the building is now ready on schedule. The old High School building, next to the new campus, will soon be demolished and the site landscaped before being incorporated into the campus site. The new campus will open its doors to pupils next week who will be excited to be stepping into their new school for the first time. Craig Bridges, regional development director at GRAHAM Construction, said: “Dalbeattie Learning Campus is a first-class educational facility which will bring long-lasting benefits to the local community. “A significant construction project, our team have delivered a state-of-the-art learning space, while also creating many different jobs and apprenticeships in the process. 26 Oct – Following a period of negotiation between landlord Riverside Inverclyde (ri) and PG Paper Company Ltd, a leading global exporter of paper, a two year extension of the company’s existing lease at Greenock’s Custom House has been agreed. PG Paper Company currently leases 3,896 sqft at the Georgian architectural masterpiece, and has been a tenant of ri’s since phase three of the restoration of the building was completed in September 2015. Restoration of the Custom House has taken place in four phases over four years. To date £4.1 million has been spent on transforming 18,000 sqft of productive business space. 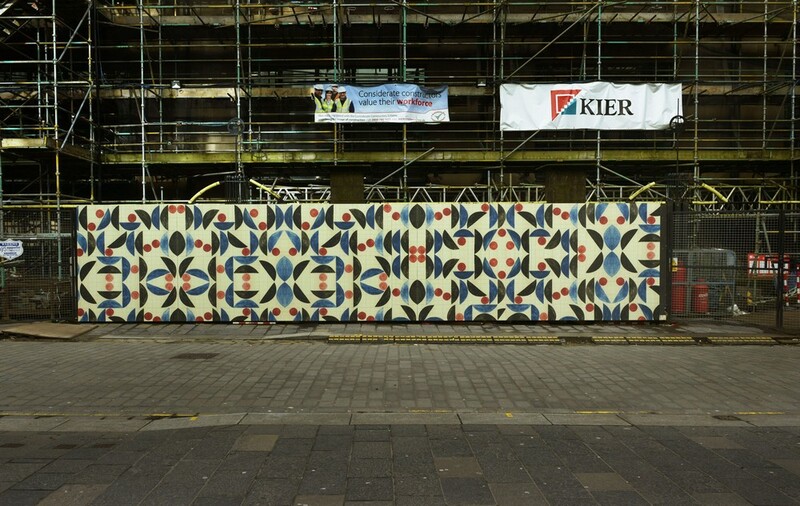 25 Oct – A new artwork by the leading artist Louise Hopkins has been unveiled on the central wall in front of the Mackintosh Building. A 2.5m high and 12.2m long digital print on metal, Dance Number, was specially commissioned by the GSA and is the artist’s largest work to date.